The landscape of Northern Manitoba has a strong presence throughout the site at Southeast Collegiate and Lodge. Areas of mixed forest envelop the reflective surface of the building, creating a visual depth within the pockets of native trees that are planted throughout the site. 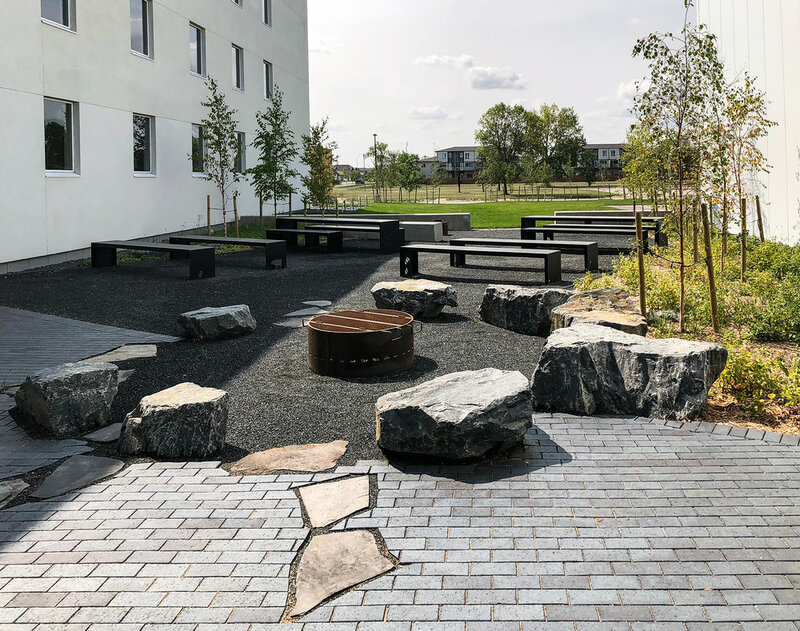 The courtyard includes a ceremonial fire pit and a bonfire area, with seating that incorporates the Seven Teachings, where students and the neighbouring community can gather.